Lets the user to make a choice either to show or hide the Page Title. By default, this is checked. Displays a list of all the headings from h1 to h6 to choose from, for the page title for user convenience. 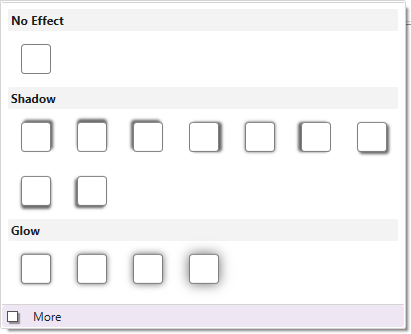 “More” facilitates the user to customize Text Formats and Effects for the Page Title. To apply a preferred color, gradient, or image to the background of the content of your WordPress theme. TemplateToaster gives the following options for designing the content of your WordPress themes in a professional style. 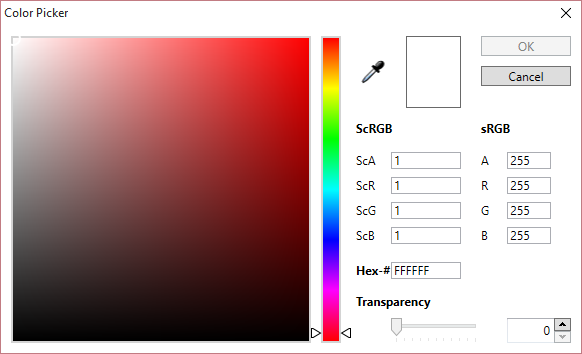 You can use the color picker for applying background color. You can apply a custom gradient in the background. You can have preferred angle, color, and offset choices for creating your own gradient style. You can save the gradient for later use as well. 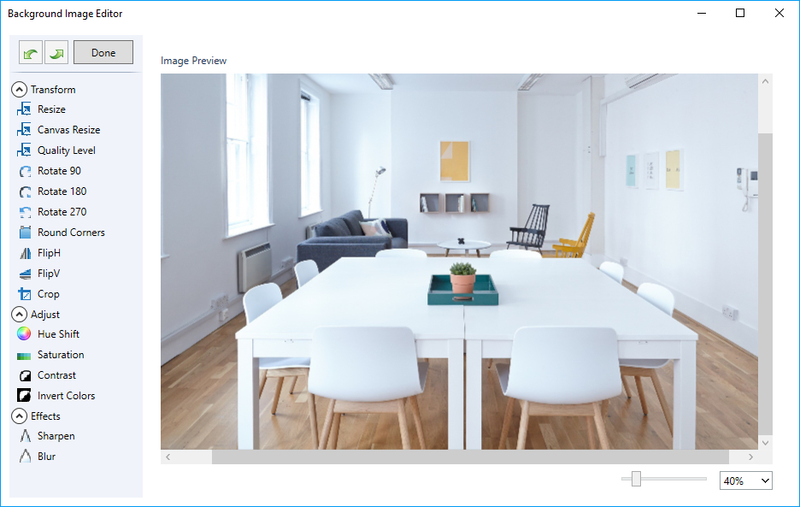 You can apply an image in the background of the content. TemplateToaster has an inbuilt stock of free images. You can even browse your custom images. 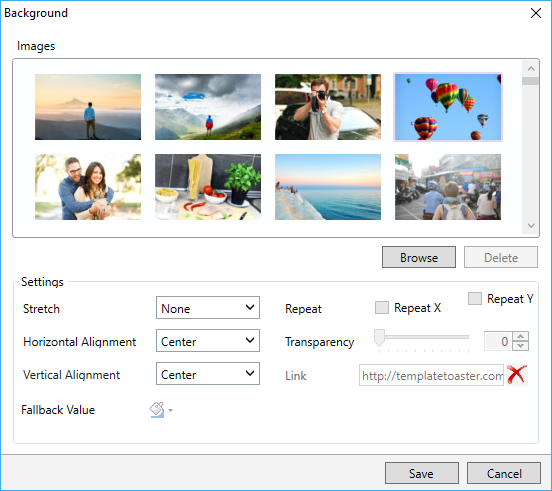 You can edit the browsed images as TemplateToaster provides an image editor with a dozen of edit options to customize the browsed images. Marks the border around the content area. You can set a preferred style, thickness, radius of edges and color for the content border. Specifies the margin for each side of the content area. Specifies the padding for each side of the content area. Adds a row in the content area. Deletes a row from the content area. Enables you to select how many columns to keep in a single row. To change the background of the selected row of the content area. You can apply a preferred color, gradient, or image to the background of a row. Customizes a border around the selected row of the content area. You can set a preferred style, thickness, radius of edges, and color for the border of selected row. To apply a shadow effect on the border of the selected row. Specifies the margin for each side of the row. Specifies the padding of each side of the row. Adds a cell in the row. Deletes a cell from the row. 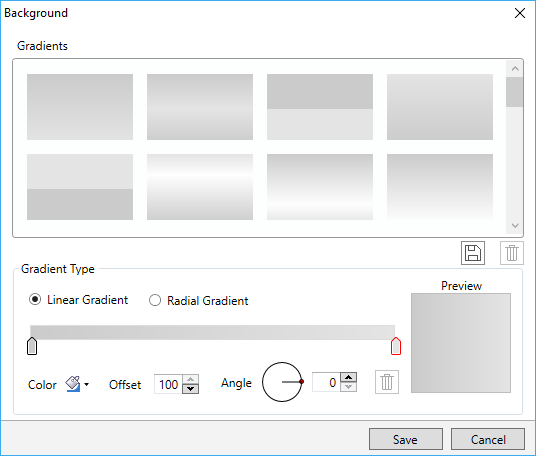 Enables the user to change the width of a selected cell. You can change the width of an individual cell according to the need for your design. To change the width, just select the cell and click this option. Avails you to change the background of a selected cell of the content row. 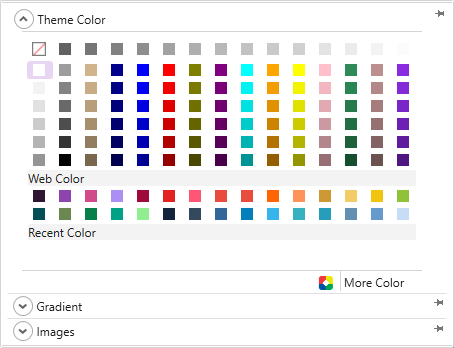 You can apply a preferred color, gradient, or image to the background of a cell. Marks a border around the selected cell of a row. And, you can also set a preferred style, thickness, radius of edges, and color for it. Specifies the margin for each side of a cell. Specifies the padding of each side of a cell. You can apply a shadow effect in the content background of a selected cell. With “More”, you can even customize the color, angle, blur, and distance of the shadow effect. Click Here for more details. Copyright © 2009-2019 TemplateToaster. All rights reserved.